The second season of the 2016 Fantasy Comic League welcomed two new members who immediately challenged the status quo of the league. 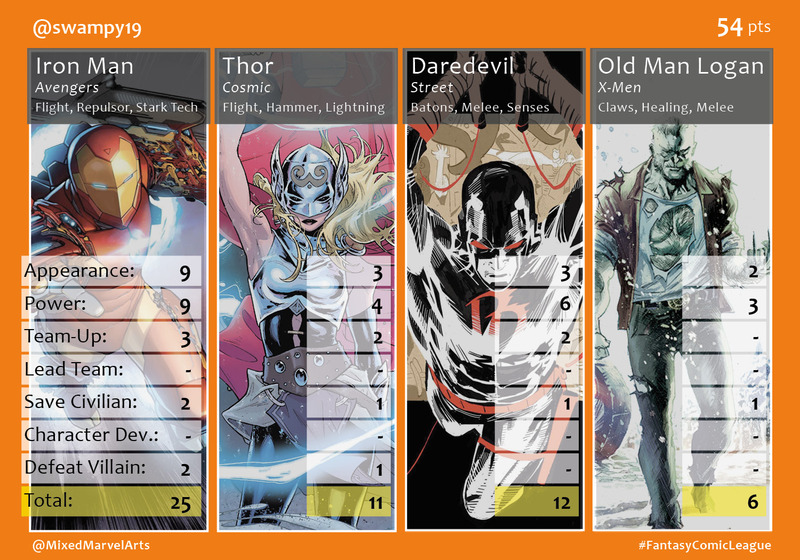 Newcomer Swampy benefited from a resurgent Iron Man who garnered the most individual points for one hero, but his team, hindered mostly by Old Man Logan’s six-point performance, fell one point shy of Shaun’s first place team. 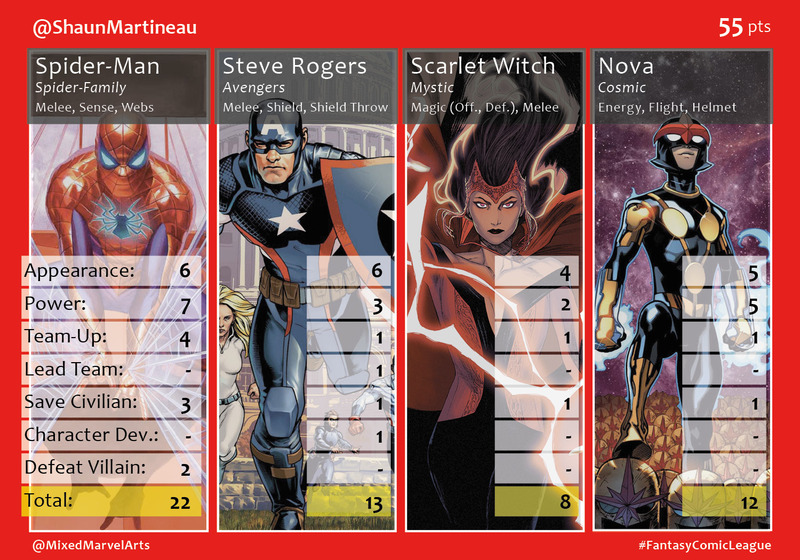 Spider-Man provided his usual consistent point coverage for Shaun, while Steve Rogers was a ‘Defeat Villain’ short of hitting for the cycle – ironic given his more recent villainous turn. 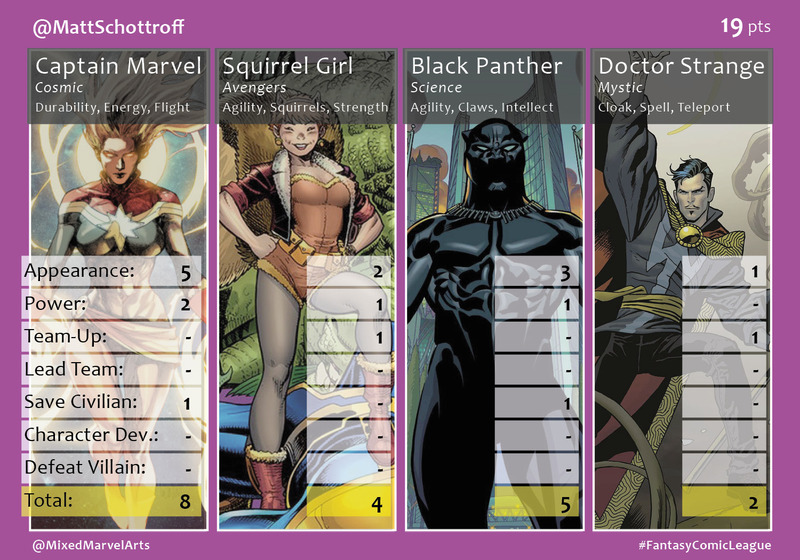 Brian managed to draft his trio of typical holdovers: Deadpool, FalCap and Ms. Marvel to maintain a middle of the pack finish. 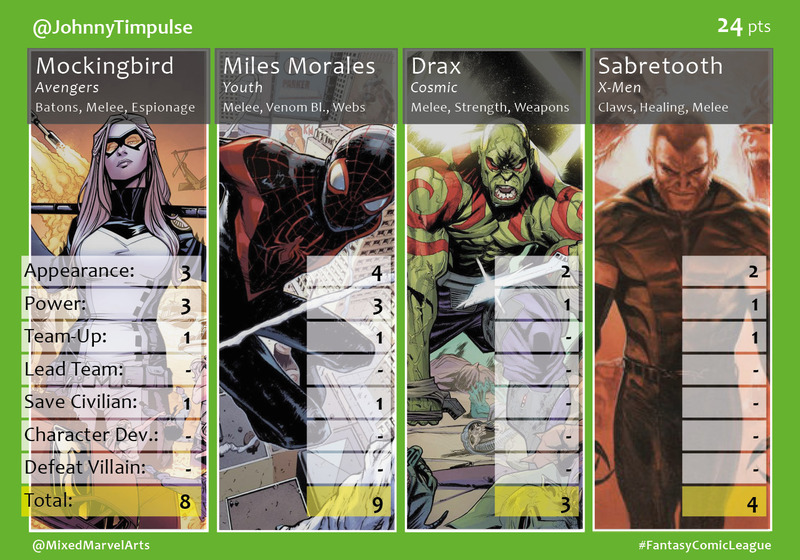 Matt, the other rookie participant, challenged and beat Johnny and his team of fan-favorite heroes – Mockingbird, Miles, Drax and Sabretooth – for their typical last place position. 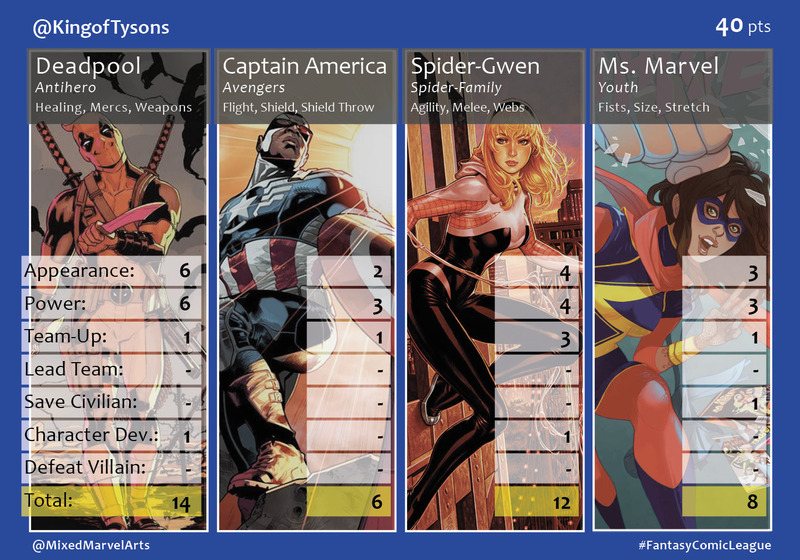 Captain Marvel’s eight points were not enough to lead Matt’s team in May, but with Civil War II kicking into high gear and Carol headlining the event, Matt’s time in the basement should be short-lived.